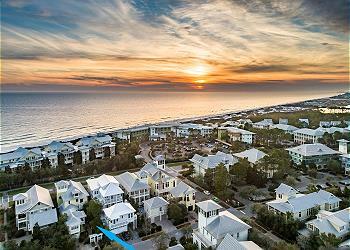 Beach District vacation rentals in WaterColor are located on the south side of 30A, in the heart of the action. The Beach District is a fabulous location just moments to the vibrant Town Center, the Beach Club and several other popular WaterColor amenities no matter which WaterColor rental you rent for your vacation. This perfectly located home has plenty of features including hardwood floors and floor to ceiling transom French doors and windows. 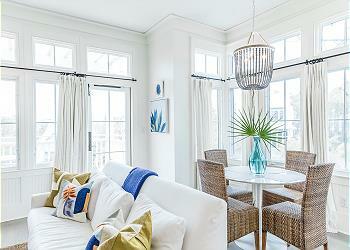 Warm neutral tones of taupe and blue provide a relaxing atmosphere in this two-level, multi-family residence with accommodations for six in the Beach District. Glorious Gulf, Beautiful BeachClub, Divine Dining and Sensational just STEPS AWAY from this unique bi-level multi-family residence. 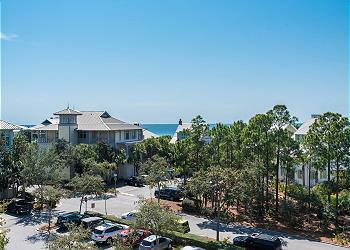 Two furnished balconies, offering shade, sun and fresh Gulf air. "Southside Serenity" provides the perfect location in Watercolor! Located South of 30-A, this two bedroom two bath condo is just a short walk to the Beach Club, Watercolor Shops and much more. 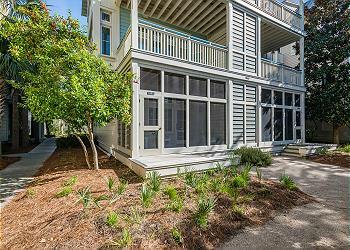 Located conveniently along 30A this wonderful 3rd floor beachside residence has accomodations for four. An abundance of colorful artwork sets a playful mood in this multi-family residence with accommodations for 10 in the Beach District. 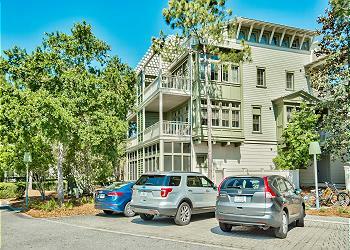 This Remodeled condo is on the Southside of 30A in Downtown WaterColor. The open concept condo has been completely renovated with Belgian Lenin slipcovered couches and chairs in the living room creating a perfect beach vibe. 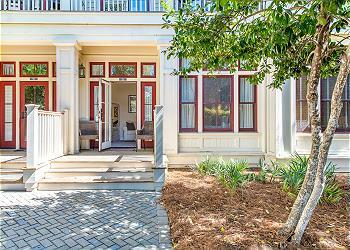 Located on the second floor, just above the fitness center, this charming sanctuary is a total treat! 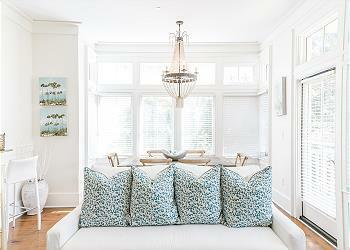 Sophisticated style reigns in this multi-family residence with accommodations for six in our Beach District. 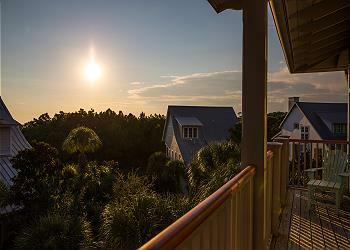 “Wispy Waters” is a one-of-a-kind, luxury vacation home featuring a private pool, carriage house, top of the line furnishings and an idyllic location in WaterColor’s Beach District. 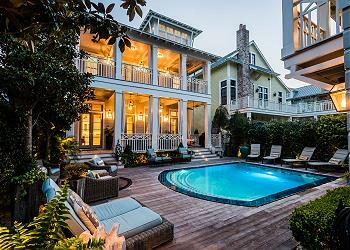 Browse photos of this stunning abode and book today!